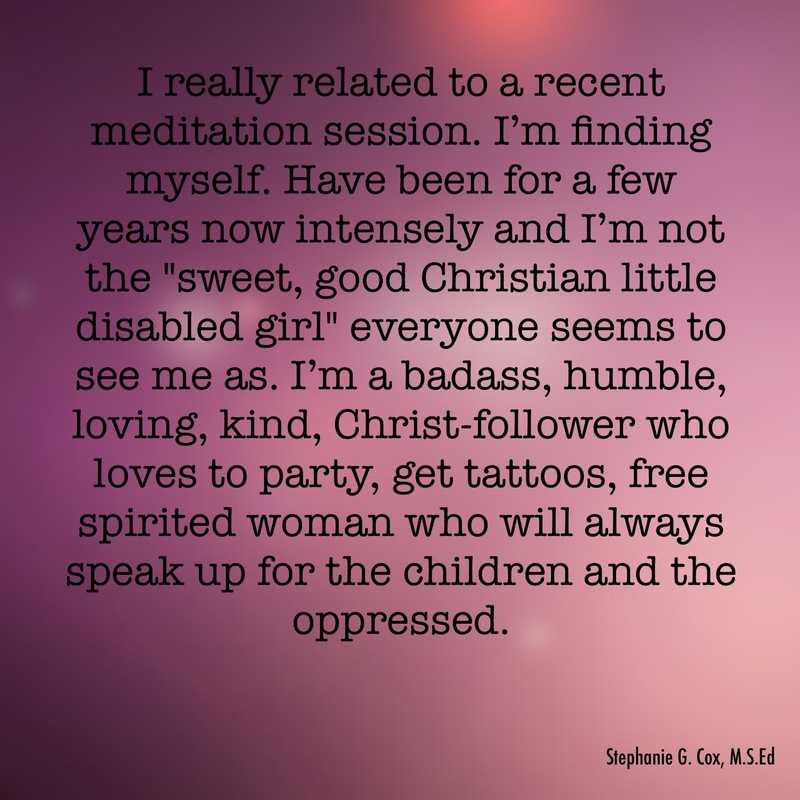 It turns out that I am in awesome company when it comes to being accused of being from satan when it comes to teaching and promoting peace, love, mercy, forgiveness, and healing. Jesus Himself was accused of being from satan after healing a blind and mute man in Matthew 12:22-37. And knowing their thoughts Jesus said to them, “Any kingdom divided against itself is laid waste; and any city or house divided against itself will not stand. If Satan casts out Satan, he is divided against himself; how then will his kingdom stand? If I by Beelzebul cast out demons, by whom do your sons cast them out? For this reason they will be your judges. But if I cast out demons by the Spirit of God, then the kingdom of God has come upon you. Or how can anyone enter the strong man’s house and carry off his property, unless he first binds the strong man? And then he will plunder his house. “Therefore I say to you, any sin and blasphemy shall be forgiven people, but blasphemy against the Spirit shall not be forgiven. Whoever speaks a word against the Son of Man, it shall be forgiven him; but whoever speaks against the Holy Spirit, it shall not be forgiven him, either in this age or in the age to come. “Either make the tree good and its fruit good, or make the tree bad and its fruit bad; for the tree is known by its fruit. You brood of vipers, how can you, being evil, speak what is good? For the mouth speaks out of that which fills the heart. The good man brings out of his good treasure what is good; and the evil man brings out of his evil treasure what is evil. But I tell you that every careless word that people speak, they shall give an accounting for it in the day of judgment. For by your words you will be justified, and by your words you will be condemned.” (Matthew 12:22-37, NASB). “And knowing their thoughts Jesus said to them, ‘Any kingdom divided against itself is laid waste; and any city or house divided against itself will not stand. If Satan casts out Satan, he is divided against himself; how then will his kingdom stand? If I by Beelzebul cast out demons, by whom do your sons cast them out? For this reason they will be your judges. But if I cast out demons by the Spirit of God, then the kingdom of God has come upon you.’” (Matthew 12:25-28, NASB). What Jesus was saying was that satan cannot and would not drive out his own demon. Also, it is interesting that throughout this chapter whenever Jesus did something good and right but contradictory to the Law, the Pharisees and other teachers of the Law of Moses got angry and accused Jesus of doing the devil’s work. I find this interesting because there is no good in satan. Yes, satan disguises himself as an angel of light (2 Corinthians 11:14) because, after all, he was once an angel full of God’s light before he got proud and fell, but there is no good or light in satan. Satan comes only to steal, kill, and destroy (John 10:10). Jesus, on the other hand, comes to give life abundantly (John 10:10). So, why would supposedly “God-loving Christians” accuse other Christians who are trying to teach Truth and peace regarding how God wants us to treat our children of doing satan’s work and/or of being heretical? And why do they actually boast and laugh about hurting their children in Jesus’s name? I believe the passage above has our answer. Let’s look at the end of that passage. “Either make the tree good and its fruit good, or make the tree bad and its fruit bad; for the tree is known by its fruit. You brood of vipers, how can you, being evil, speak what is good? For the mouth speaks out of that which fills the heart. The good man brings out of his good treasure what is good; and the evil man brings out of his evil treasure what is evil. But I tell you that every careless word that people speak, they shall give an accounting for it in the day of judgment. For by your words you will be justified, and by your words you will be condemned” (Matthew 12:33-37, NASB). As I discuss in great detail in my book, most Christian pro-spankers were “lovingly” spanked/hit by their parents, and thus, have the message literally ingrained in their brains that having been spanked/hit in Jesus’s Name was good and right. They have denied and repressed the physical and emotional pain of being hurt by their parents. “Anger is a child’s best (and often only) defense, for it arises out of a powerful sense of self, a self being violated and abused by painful blows and hurtful words. The child has been hurt on purpose (bolding for emphasis by author) by an adult in order to teach a lesson in discipline, but the child experiences this pain and reproach as an assault upon the self as well as upon the body. Often the result is not only anger but also hatred and a powerful desire for revenge, which often takes the form of imagined mutilation or murder of the person who inflicted the pain. These powerful emotions are permanently stored in unconscious memories, but sometimes people also remember them quite consciously, years after the events that provoked the feelings” (p. 124). The devil is our accuser. He is the one who puts us down and tries to get God to be mad at us. “Then I heard a loud voice in heaven say: ‘Now have come the salvation and the power and the kingdom of our God, and the authority of his Messiah. For the accuser of our brothers and sisters, who accuses them before our God day and night, has been hurled down’” (Revelation 12:10, NASB). 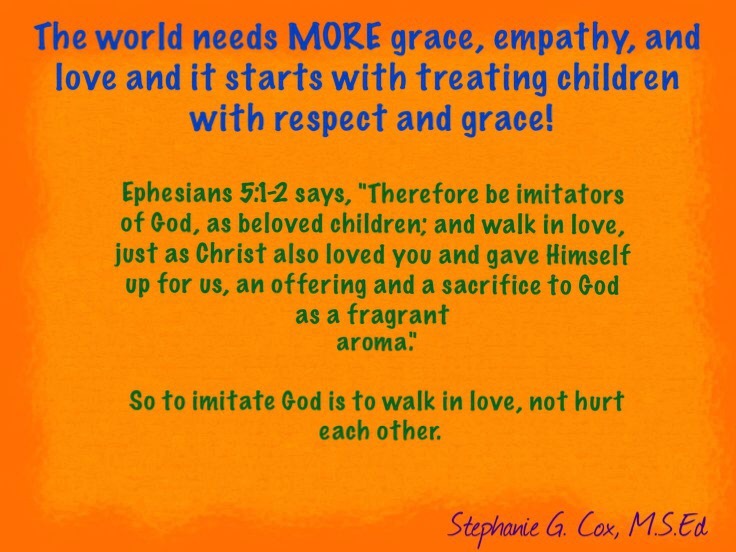 So when angry “Christian” pro-spankers hurl accusations at those who are trying to help them see and understand God’s amazing love for all of us, especially children, God’s love does not shine through them. Only anger and hate comes through. The Bible makes it very clear that we are to love and bless each other and leave revenge up to God. “Let love be without hypocrisy. Abhor what is evil; cling to what is good. Be devoted to one another in brotherly love; give preference to one another in honor; not lagging behind in diligence, fervent in spirit, serving the Lord; rejoicing in hope, persevering in tribulation, devoted to prayer, contributing to the needs of the saints, practicing hospitality. Bless those who persecute you; bless and do not curse. Rejoice with those who rejoice, and weep with those who weep. Be of the same mind toward one another; do not be haughty in mind, but associate with the lowly. Do not be wise in your own estimation. Never pay back evil for evil to anyone. Respect what is right in the sight of all men. If possible, so far as it depends on you, be at peace with all men. Never take your own revenge, beloved, but leave room for the wrath of God, for it is written, “VENGEANCE IS MINE, I WILL REPAY,” says the Lord. “BUT IF YOUR ENEMY IS HUNGRY, FEED HIM, AND IF HE IS THIRSTY, GIVE HIM A DRINK; FOR IN SO DOING YOU WILL HEAP BURNING COALS ON HIS HEAD.” Do not be overcome by evil, but overcome evil with good” (Romans 12:9-21, NASB). Yes, we are to gently correct each other of sin according to Galatians 6:1-2, but the key word is gently, because accusing people and inflicting pain on them only causes fear and defensiveness. Jesus told it like it was with the Teachers of the Law, but He was always gentle. And no, He did not hit anyone with the whip He made to drive everyone out of the Temple. He loved people. He still loves us and uses His gentle love to bring us to Him so that we may be saved. “Or do you think lightly of the riches of His kindness and tolerance and patience, not knowing that the kindness of God leads you to repentance?” (Romans 2:4, NASB). Christ does not hurt, accuse, insult, or punish us to make us come to Him. He offers love, mercy, grace, and forgiveness to us. He is the Prince of Peace. However, satan hurts, accuses, insults, steals, kills, and destroys. Do you really think satan wants us to discipline (teach and guide) our children in a graceful manner without inflicting pain? Jesus created children. He knows how vulnerable the young brain is and how harmful spanking/hitting is to that young, vulnerable brain. Why would the Prince of Peace who, despite being absolutely sinless, suffered and died for all of humanity’s sins call us to physically punish our children for their mistakes? Out of our mouths come the things that are in our hearts. I leave us with a beautiful passage that describes exactly who Jesus is. He will gently lead the nursing ewes” (Isaiah 40:11, NASB). Greven, P. (1992). Spare the child. New York, NY: Vintage Books.